Over the last few days I have noticed that quite few people (including me) have trouble deciding what cream to use when baking certain things. So many recipes might say “heavy cream” or “fresh cream” but what are they really? Well, I have found a pretty good info so I hope it helps. This cream is also commonly known as coffee cream. This type of cream contains 18 to 30% butterfat. This cream has a low fat content and so it does not thicken when beaten. It will only whip if it contains 30% butterfat but it won’t be very stable. Light cream can be used in both sweet and savory dishes. This cream has enough butterfat so that it thickens when whipped. The butterfat content in whipped cream range from 30 to 36%. It can be effectively used for toppings and fillings. Nowadays, whipped cream contains stabilizers and emulsifiers so that the cream can hold its form when whipped. Whipping cream is also ultra-pasteurized and so it has a long shelf life. The butterfat content in this cream is in the range of 10 to 18%. This cream consists of a mix of half of milk and half of cream. So, this cream does not whip. Half and half can be used in place of heavy cream where it requires less fat. Since, it is thicker than milk it can be used as cream in coffee but for any other purposes it cannot replace cream. This cream is also known as heavy whipping cream. It has a fat content in the range of 36 to 40%. This cream is much denser and doubles up in volume when whipped. It also tends to hold its shape when whipped. Double cream contains 48% butterfat. This cream is easy to whip and over whipping the cream makes it very thick and so it is very good for puddings and desserts. When double cream is heat treated and very quickly cooled then it is known as extra thick double cream. Because of its consistency this cream cannot be poured. Clotted cream is also known as Devon cream. It has about 55 to 60% of butterfat content. 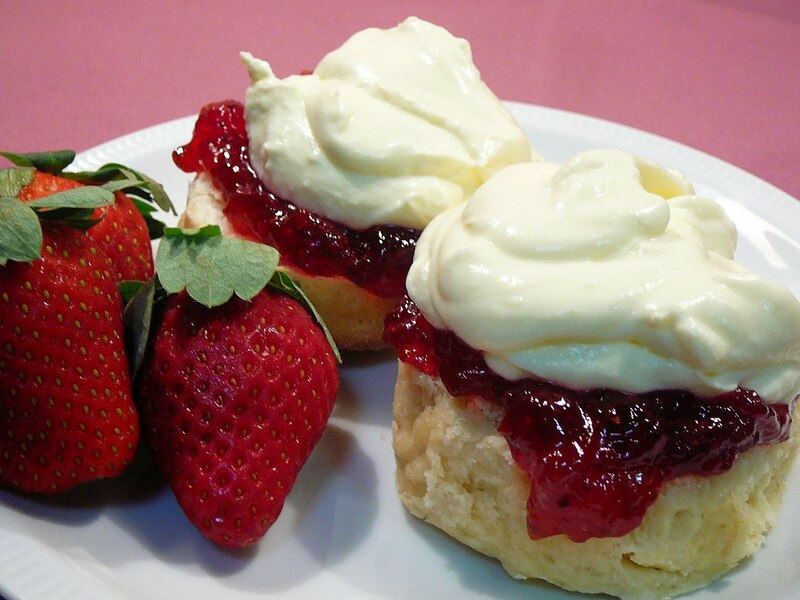 Clotted cream is made by heating unpasteurized milk till a thick layer of milk forms at the top. The milk is then cooled and the layer of cream skimmed off. It has a scalded or cooked flavor with a thick, rich and yellowish texture. This cream is best served with scones and jams.